You might think that a game is intended to be for children if you were told that it is the combined effort of both Level-5 and Studio Ghibli, this however couldn’t be farther from the truth. 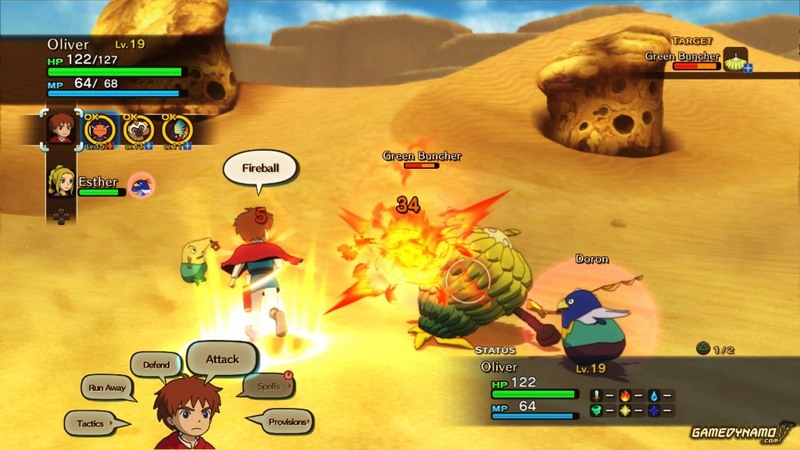 Ni No Kuni is appropriate for anyone who has ever appreciated a well told story or been caught up in an expansive and colorful world. It’s amazing to think that this beautiful world, that appears to be pulled straight out of the imagination of Miyazaki, began as a DS game which never saw the light of day in North America. 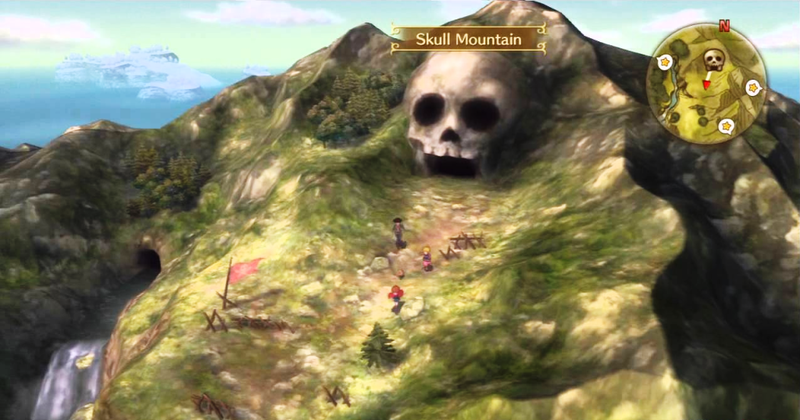 Thankfully when it was finally ported to the PS3 someone had the great idea to bring it to the western audience. The game centers around an average youngster named Oliver who lives in a small, quiet town. 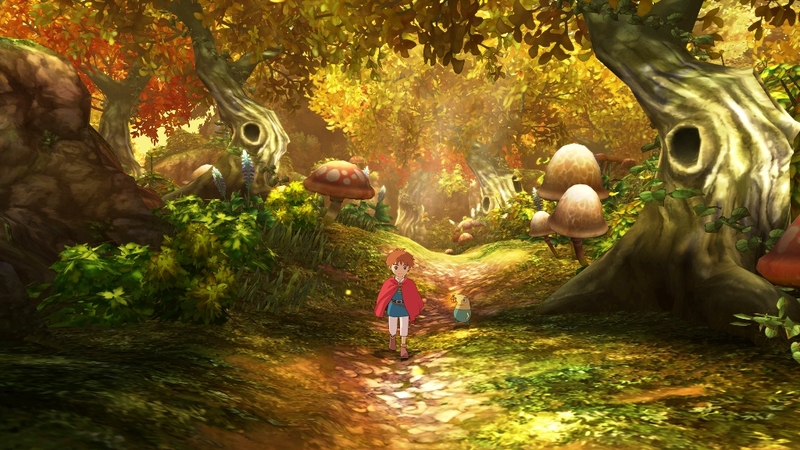 The beginning hours of the game revolve around a series of emotionally driven cut scenes that set a tone for the adventure and force Oliver to face the reality of his lost childhood. As Oliver turns inward to escape his sadness, his stuffed toy Drippy reveals himself to be a fairy from another world. He demands that Oliver put aside his feelings and accompany him to his home world in order to stop the dark wizard Shadar from taking over. Oliver agrees to take up the journey, since Drippy reveals that everyone from his world has a soul mate in the fairy world that links the two together, in an attempt to undo the tragic events that have unfolded in his own world. The story starts as a traditional tale of good versus evil but stretches far beyond that with emphasis on the themes of friendship, love and redemption. During his travels Oliver meets a very diverse set of characters that all seem to require his help. Only by travelling back and forth between his and the fairy world in order to help both versions of a person is Oliver able to make things right. As the player you are given magic that allows you to take virtues such as enthusiasm, kindness and courage from those who have excess amounts to give them to those with broken hearts to mend. If you have ever watched a Studio Ghibli movie and thought about how much you would like to explore its world then you will love the presentation of this game. The characters are charming if not whimsical at times, emphasized by a vibrant and colorful cell shading art style. Every cut scene is painted and then animated with such care that it could sit side by side with Spirited Away or Howl’s Moving Castle and not only belong but stand out. The Locations in the game are diverse and there is one to fit every mood. A dark forest filled with the undead, an arid desert or even an ice cavern complete with dragons is just some of the places you will visit during your adventure. Much like the visuals, the soundtrack is made to fit each situation thematically. Beautifully orchestrated melodies and somber tracks play while exploring the over world while the bustling towns and cities are brought to life with lively tunes. Battles are home to more of an upbeat tempo that fittingly compliments the increased tension and to emphasis that combat is not an afterthought. Combat is not done through Oliver and his friends alone as beings called familiars are summoned into battle to aid them. Each familiar belongs to a genus and has their own set of moves to learn as well as strengths and weaknesses to consider. These familiars are primarily what you are fighting during the course of the game and can be captured to add to your roster of allies. Once you have obtained them they can even be transformed into stronger forms as they level up which immediately draws comparisons to the Pokemon series of games. Boss fights were the most hectic and generally presented a large spike in difficulty, requiring more strategy and split second decision making. I was often lulled into a false sense of security while exploring a dungeon only to get slammed by the boss and have to start over. There is little replay value as the game is very story driven and once completed there are very few reasons to go back. While the game is not short by any means, as the main story will take more than a few dozen hours, there would be no surprises playing a second time. Completionists who want to collect every familiar, finish all the side quests, and craft every one of the alchemy recipes will be happy to know that these side activities can easily take over 100 hours of gameplay. Although I cannot say enough good things about this game, it will not be for everyone. Those who are unable to get past the sense of childlike wonder will feel out of place with this game. Fans of JRPGs or Miyazaki films should have already played this game but if they haven’t will discover a fantastic story that will make them laugh, cry and leave them wanting more well after the final credits have rolled. May 2, 2015 in Josh Pang, PS3, Review.